The Katanga, or Shaba, copperbelt in the DR of Congo is a belt about 70 kilometres wide and 250 kilometres long between Lubumbashi and Kolwezi, close to Zambia. 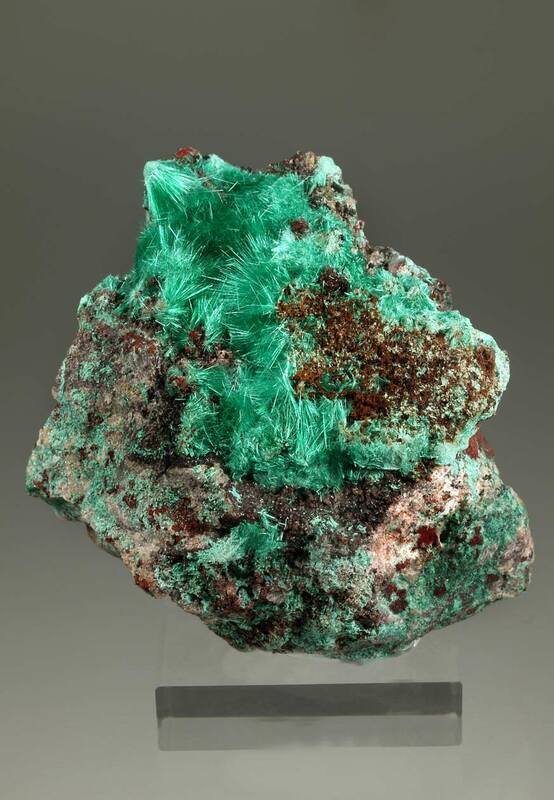 There are more than 70 economic mineral deposits of copper/cobalt and Uranium and four large mining centers. 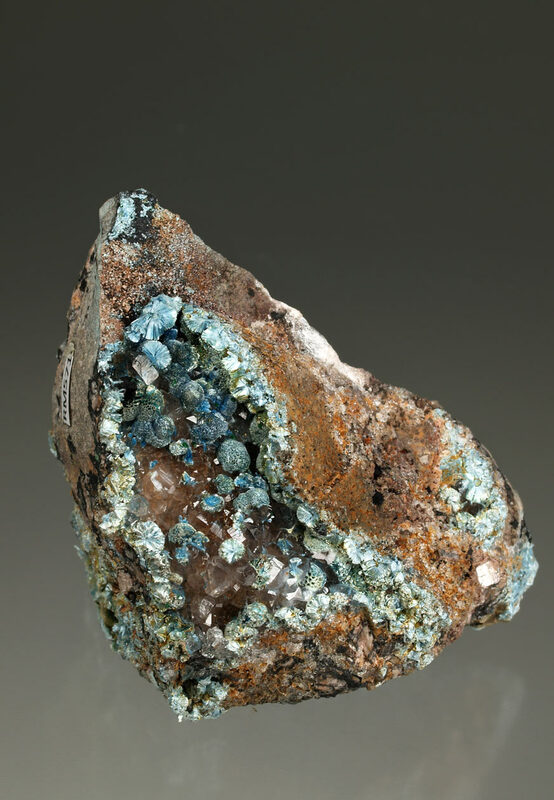 The DRC copper belt includes some of the highest grade copper deposits in the world. 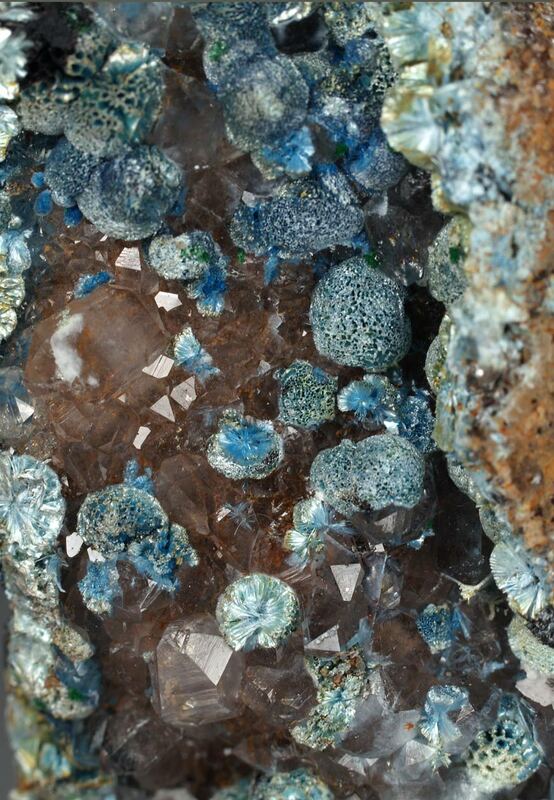 The ore also has high grades of cobalt and may hold 34% of the world's cobalt reserves. There are large deposits that have yet to be explored using modern technology, so the size of the reserves may be understated. 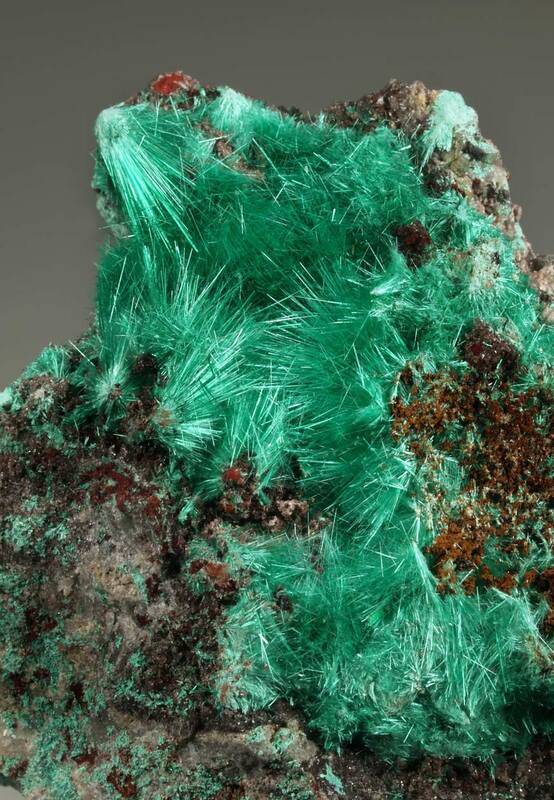 Uranium minerals are the most aesthetic specimens in the world. 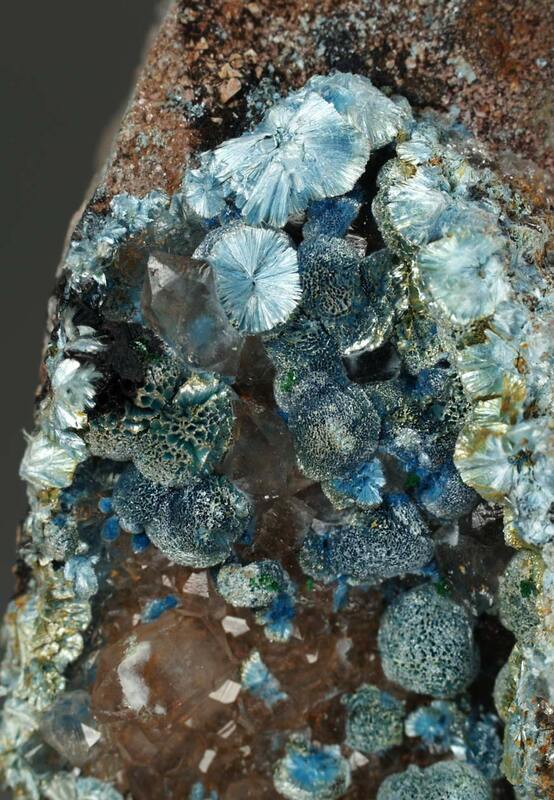 These specimens of brochantite from the mining area of Katanga are one of my weaknesses. 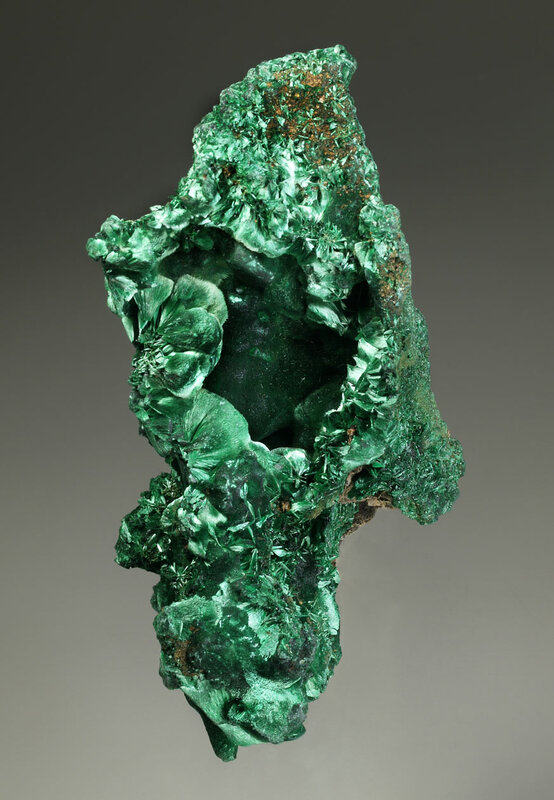 The long needles of this mineral, filling cavities of the matrix, special green color, brilliance and silky luster... Pure aesthetic. I hope you enjoy it. Size: 6.9 x 6.6 x 4.7 cm. 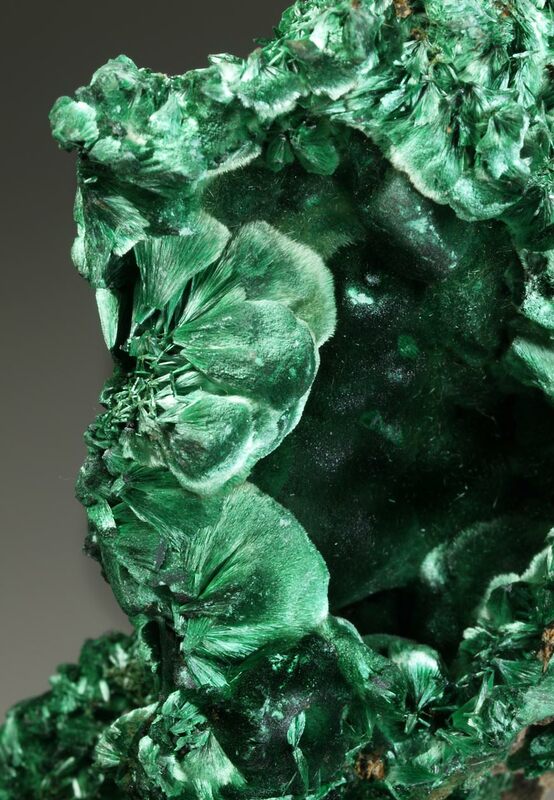 A huge size specimen of acicular malachite forming fan-shaped aggregates. Excellent and characteristic green color and superb brilliance. 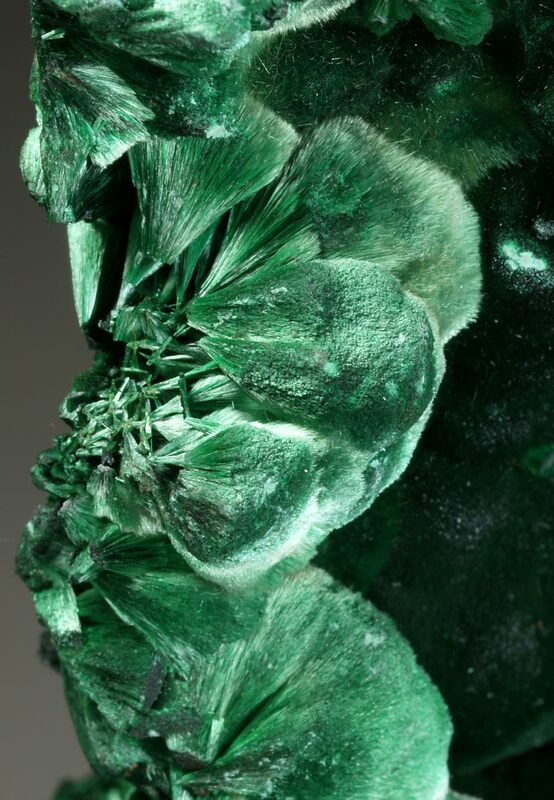 It shows a vug layered by needle crystal terminations those give an even darker green. With some rocky matrix. Size: 11,3 x 6,4 x 5,7 cm. 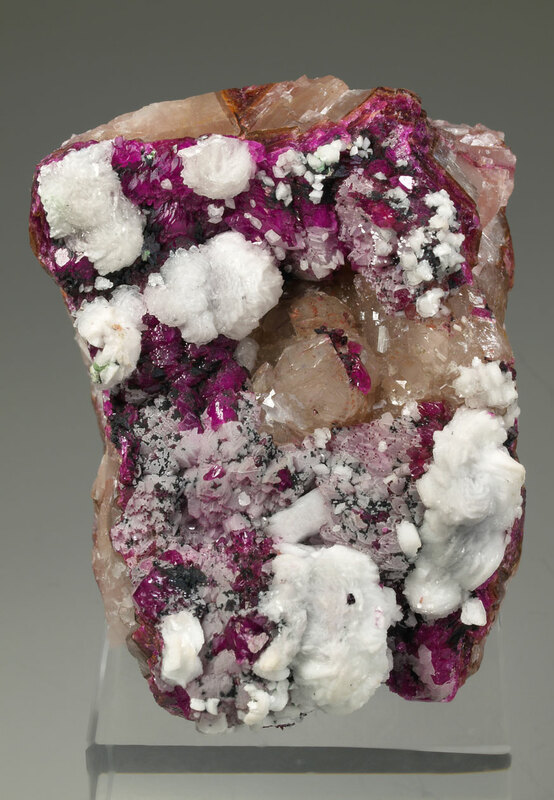 On a compact quartz matrix we have different groups of cobaltoan calcite crystals with intense purple to fuchsia color, with transparence and well defined faces and edges. It is accompanied by spherical aggregates of snowy white dolomite and some quartz crystals. A classic from Katanga Copper Crescent mines. Size: 5,4 x 4,3 x 4,9 cm. Main crystal: 6 x 2 mm. 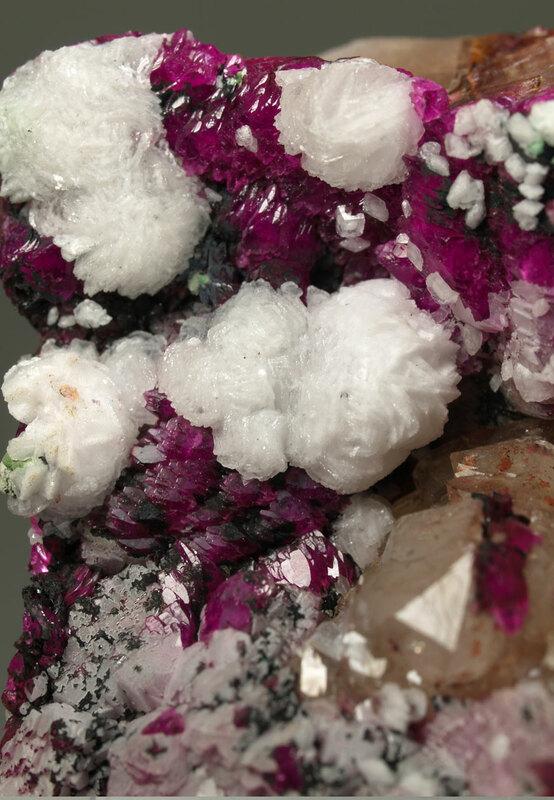 This specimen shows spherical aggregates of plancheite, formed by several acicular crystals in a radiated shape. On the surface of the spheres we can enjoy curious honeycomb structures. Color is between blue and blue-gray. 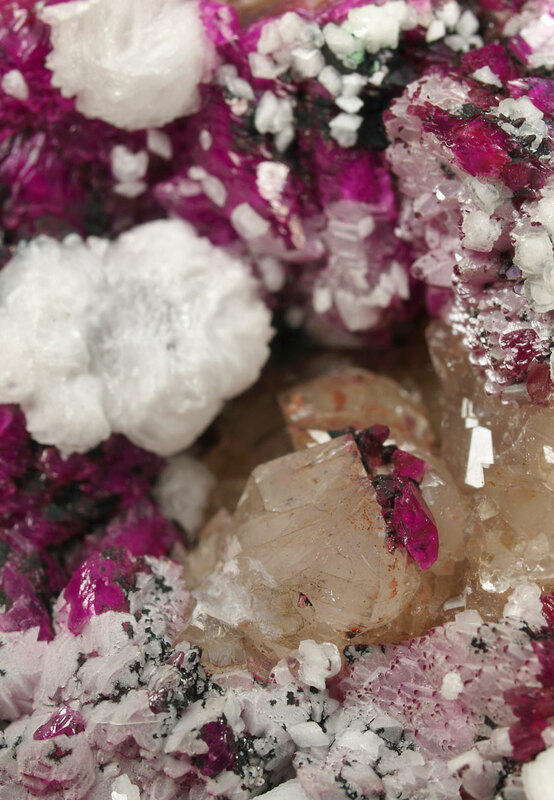 On a vug layered by small quartz crystals. From a locality not well represented in collections for this species. Size: 7,5 x 5,7 x 5,0 cm. Main crystal: 4 x 4 mm.